In August and September of 1995, I had the opportunity to tour Russian aviation sites in St. Petersburg and Moscow. This was through a tour organized by East-West Travel and sponsored by the San Diego Aerospace Museum. I extended my tour to take advantage of the incredible adventure offered by MiGs Etc. They arranged a week of unbelievable flying in both an L-39 jet trainer and a MiG-25 supersonic interceptor. Seeing the Czar's palaces in St. Petersburg from a chartered Mi-8 helicopter. Touring Star City escorted by the director of cosmonaut training. The Moscow Airshow (only held every other year). 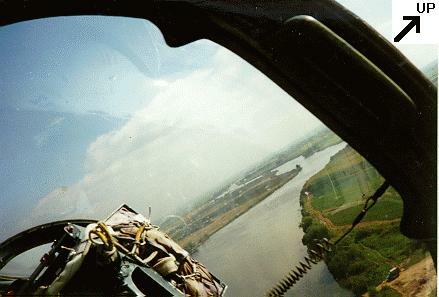 Hand flying terrain following at 600km/hr at 20 meters down a river valley in the L-39. 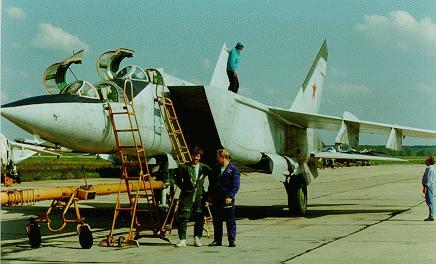 Me rolling the MiG-25 at Mach 1.4. 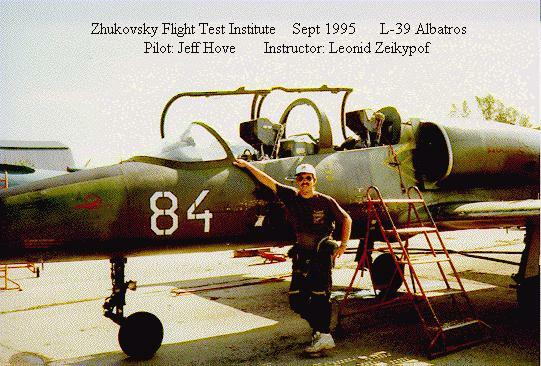 My 3rd L-39 flight when the instructor let me do all of the flying from taxi-out to landing, including a 14 maneuver aerobatic routine featuring tail-slides, a 4-point roll, and a loop with vertical rolls both on the way up and back down. 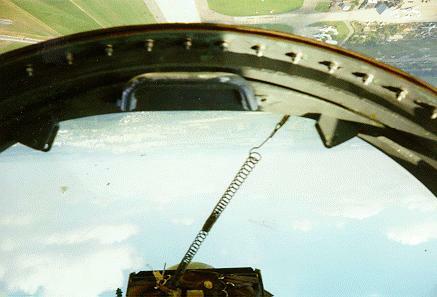 Flying rolls down the ILS approach. Inverted passes down the Ramenskye runway at 100meters. Shopping at the Izmailova market. I was able to buy my own Russian flight suit and helmet! To help me prepare for the flying on this trip, I turned to the great guys of the Flemming Tigers Fighter Squadron in South St. Paul, Minnesota. 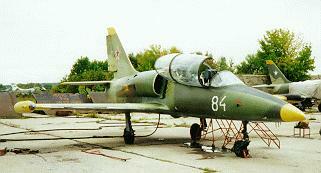 They teach high performance flying and aerobatics in the SF-260 trainer aircraft. They are a part of Fighter Pilots USA that organizes aerial combat training and experiences for civilians, pilot or non-pilot. This aerobatic experience was the perfect warm up for flying jets. By learning to pull 5 G's (five times the force of gravity) in the SF-260 without an anti-G suit, I was able to handle 7 G's in the L-39 with a suit. Flight Test Report of Buran Training Landing profile flights in the MiG-25. I disagree with the author's review of stick forces and roll rates. I thought it rolled aobut the same as the L-39.